No matter your floor plan, this Nexera TV stand will fit right in. The walnut free standing TV stand can hold a television up to 51-inch to 60-inch. Games, movies, and even speakers can be stored in this handy piece. Alibi 60-inch TV Stand from Nexera features 2 closed storage sections with doors and a central storage drawer on metal slides. The TV Stand is characterized by its mid-century design and can be paired with matching Alibi Bookcase/Media Tower 107142 for added storage capacity. Fun and playful, the Domino Collection from Nexera is refreshing with its unique 'Dot' design and trendy scandinavian style. The Domino 60-inch TV Stand features 2 square storage cubbies with unique 'Dot' doors and 1 extra-large center drawer, ideal to store anything from blankets to toys. Modern with a touch of rustik charm, the Helix entertainment collection from Nexera lets you choose from 2 different sizes of TV stands and a matching audio tower, all offered in a rich Truffle woodgrain finish with curvy contemporary doors in matte charcoal grey finish. Ideal for movie marathon essentials or for your favorite potted plants, this TV stand with its modern yet cozy look is the perfect addition to your trendy & minimalist living room. This Marble collection 60'' TV stand offers open shelf areas, 2 drawers and a door with additionnal storage space. The door panels have a modern twist with a linear construction detail that brings timeless depth and texture in a matte white lacquer finish. 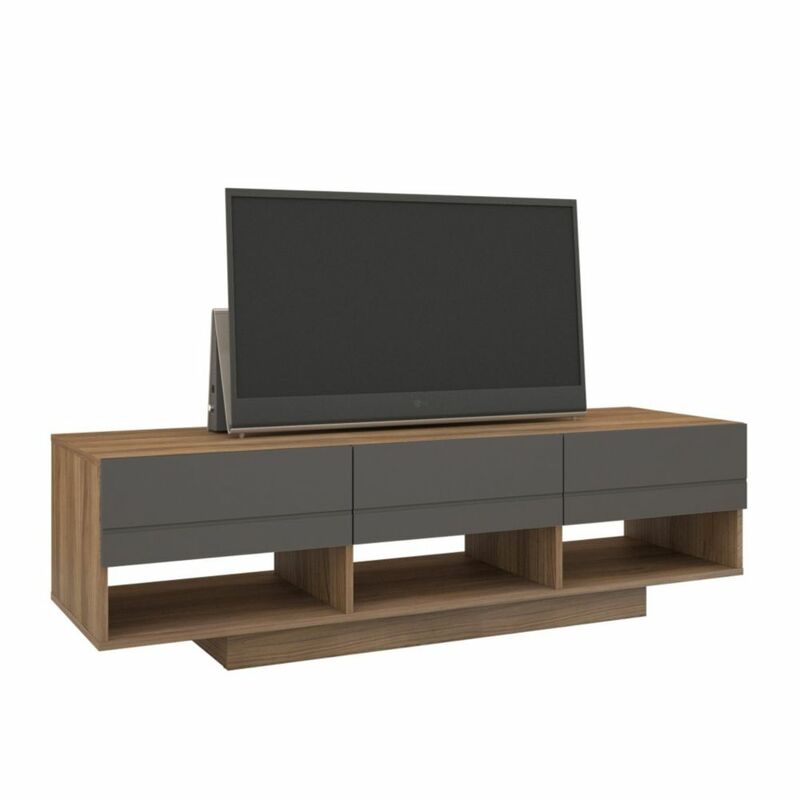 Nexera Radar 59.75-inch x 17.25-inch x 18.75-inch TV Stand in Walnut No matter your floor plan, this Nexera TV stand will fit right in. The walnut free standing TV stand can hold a television up to 51-inch to 60-inch. Games, movies, and even speakers can be stored in this handy piece.